This "Colored Directory" is similar to other city directories. It lists African American churches, organizations, businesses and professionals. The bulk of the directory lists the names of African Americans and their addresses. Page 59 lists the names of the faculty, what they teach, and where they received their education for the Kansas Vocational School, as well as other employees. The directory does not list occupation. 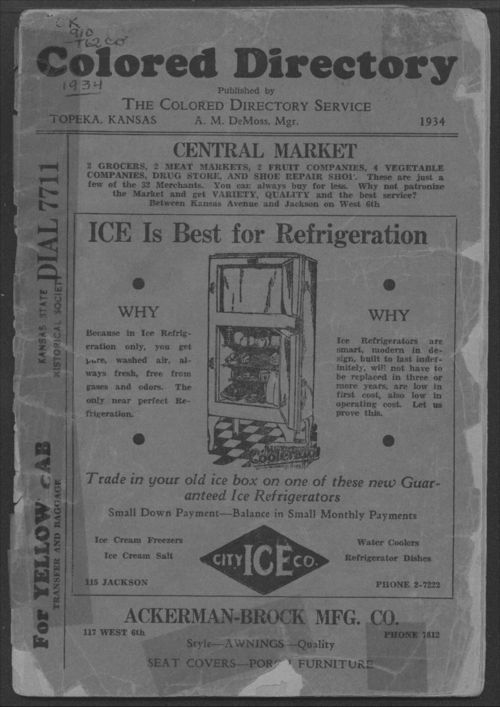 It also contains a number of advertisements from Topeka and Shawnee County businesses.